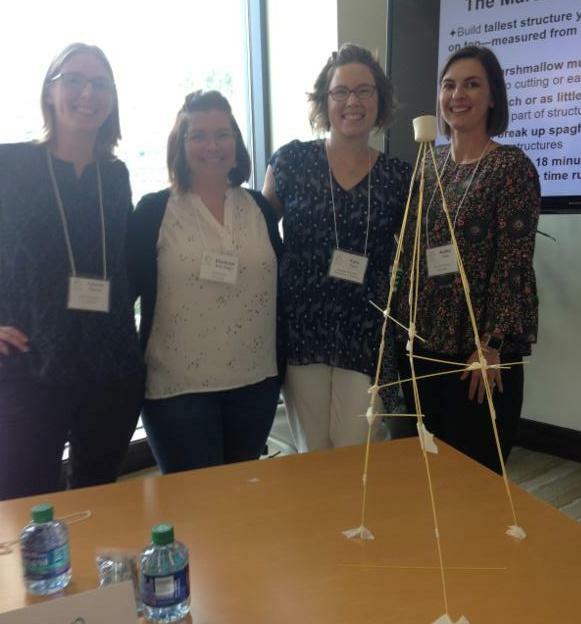 Fall Into Professional Development With HandsOn! Sure, it's Fall. Maybe if we keep saying that, it will make it so? Because right now, it's hot, humid, and there is yet another tropical storm bearing down on us this week. While our area of the state was luckier than our friends down east, this time we might be more directly in the path of the storm. As always, we'll keep you updated about any volunteer needs that might emerge in the aftermath through our social media channels and our website. If you are interested in helping out with Hurricane Florence recovery, please contact our friends at the Cape Fear Volunteer Center. NC VOAD is also keeping an updated spreadsheet of volunteer needs and donations, and I would encourage all of you to check it out. If you have experience managing or deploying volunteers--as many of our readers do--and are willing and able to travel, I know that they could especially use your experience in helping to manage and staff distribution centers and hurricane recovery centers. Please let me know if you can help with that specific need and I'll get you in touch with the right folks. While the weather was kinder to us than expected, we know that Florence did wreak havoc with many of your September schedules. For us, other issues intervened. Our Governance Nonprofit Essentials class was cancelled due to instructor illness, and we have decided to offer a slightly shorter version of the class the morning of October 18th, from 10:30 to 12:30 pm, leading directly into our Strategic Planning class that afternoon. Lunch will be included, and if you were already registered, there is no need to register again. If you can't make the new time, you are welcome to take the full version of the class when we offer it next September. Although this was an unexpected programming hiccup, I am happy to report that our Volunteer Management Training Series went off without a hitch, with a great experience had by all. Many in the class were interested in following-up by having their entire organization be in our next Service Enterprise cohort, which will launch later this fall. We still have one or two spots left in the new cohort, but please let Kathy know ASAP if you are interested. Instructor conflicts have also led us to cancel our Elevating Your Service Experience class, originally scheduled for October 23 rd. We'll let you know as soon as we can reschedule that class. However, we are still looking forward to Kivi Leroux-Miller's visit on November 8 th. We only have a few more spaces available, and you don't want to miss out on learning more from this marketing genius. Find out how to get the most bang for your marketing time and dollar with sessions focused on content re-purposing and marketing your expertise. Lastly, we're excited to report that we have received our copy of the 2018 Compensation Report for North Carolina Nonprofits , which provides salary and benefit benchmarks for positions in nonprofits of all types and sizes across the state. This guide provides crucial information to help you make sure your organization is performing due diligence in understanding what competitive salaries look like across our sector. Alas, the report is too large for us to email to you; however, you are more than welcome to make an appointment with Brittney to either check out the guide for a short-term loan, or review the information in our offices. You can also order your own copy. Hope to see you at one of the sessions with Kivi in November, if not before! Supporting Partners can register for the entire 10 class series for just $450 ! (The cost is $550 for all others.) Payment plans are available. All classes include a networking lunch and extensive take-home materials. Nonprofit Board Speed Dating Evening! If you are looking to make a positive impact, collaborate with people who share your values and interests, broaden your leadership skills, or expand your personal and professional networks, then maybe you are ready to serve on a nonprofit board or committee! One of the best ways to find out about different nonprofits and their board opportunities is through our Nonprofit Board Bank Speed Dating events. Like typical "speed dating" events, you'll have the opportunity to talk directly with representatives of various nonprofits in 10 minute rounds about their organization and needs in terms of board and board committee members. Prior to the event, we'll send you the mission statements and basic board information from the participating nonprofits. This will help you focus your questions and maximize your 10 minute speed-dating rounds. Although board/committee placement is not guaranteed, the event will familiarize you with different nonprofits and their culture, programs, and people, before committing to serve as a board/committee member. We'll begin with time to mingle and enjoy appetizers, beer and wine (from 5:00 pm-5:20 pm. At 5:30 pm, we'll begin promptly with the board speed dating rounds. The event will last until approximately 7:30 pm. All potential volunteer candidates must register and complete an application prior to participating in Speed Dating. The registration deadline is Thursday, October 25th. If you are a nonprofit interested in participating, please contact Kathy Davis directly for more information. (Participation in Speed Dating is a benefit available only to Supporting Partners ). 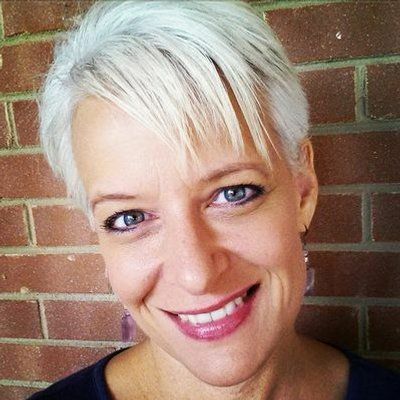 Nonprofit Marketing Expert Kivi Leroux-Miller Coming on November 8th for Two Different Sessions! This course is designed to give an overview of nonprofit budgeting and finance, including financial terminology, the components of nonprofit financial statements, and a working understanding of an income statement and balance sheet. The course will also address how to build a budget, use performance standards to help make spending decisions, and address “red flag” issues. It is taught by Chuck Kraft , current Executive Director of the Ronald McDonald House of Winston-Salem and founding Board Chair of HandsOn NWNC. 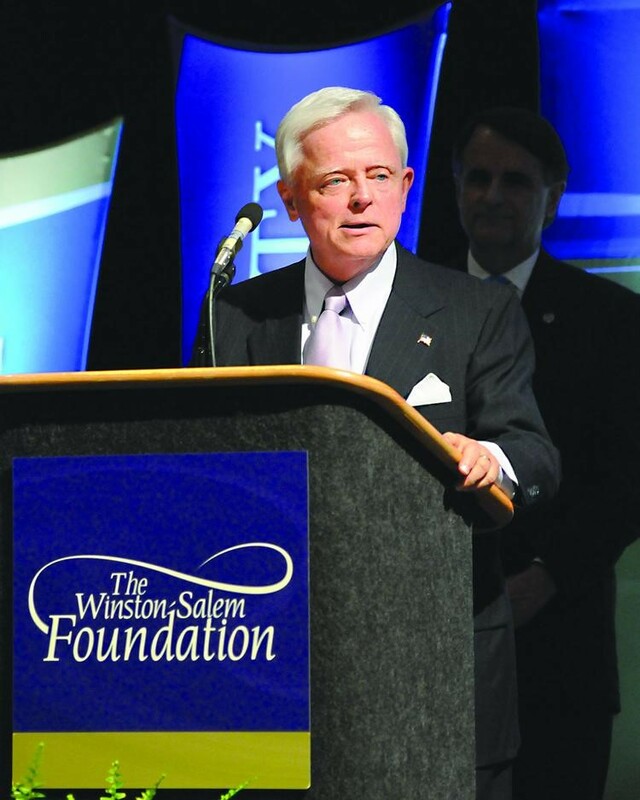 Weston Award Forum You're invited to join leaders from The Winston-Salem Foundation, United Way of Forsyth County, Kate B. Reynolds Charitable Trust, Z. Smith Reynolds Foundation, and other local grantors for an update on the Weston Award. 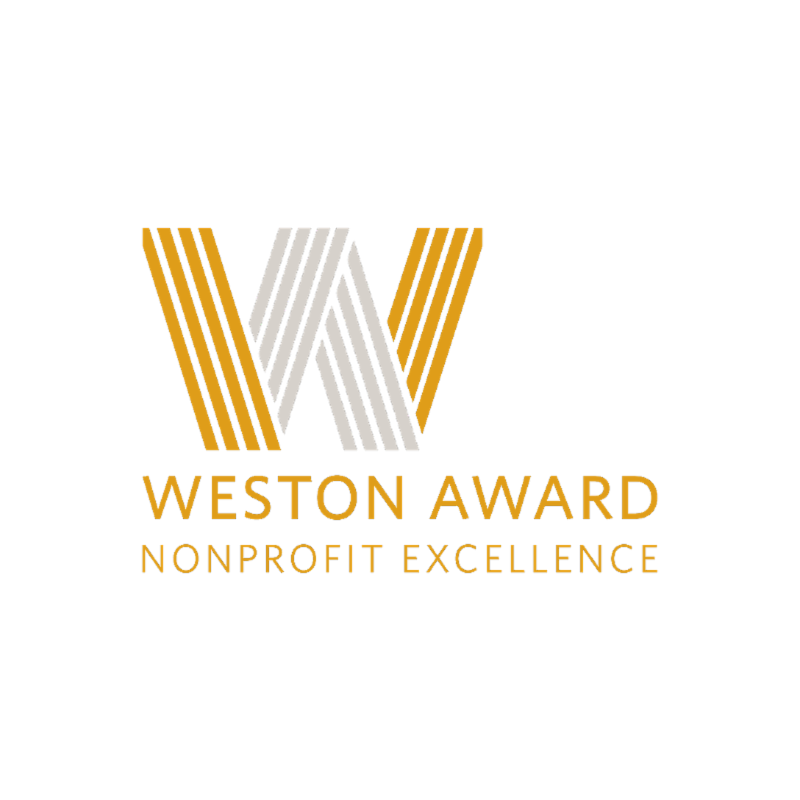 You'll also hear an exciting announcement about the 2019 Joel and Claudette Weston Award for Excellence in Nonprofit Management! The Forum will take place on Monday, October 22nd, from 10:00 am-11:45 am at Goodwill Industries, Self-Reliance Hall . ﻿ RSVP to Noelle Stevenson . Wake Forest University's Community Law and Business Clinic to Hold Series of Nonprofit Seminars This Fall! The "Nights for Nonprofits" sessions are geared toward new or emerging nonprofits, while the "Evening Academy" sessions are focused on more established and growing nonprofits. All sessions begin at 6 pm and are FREE ; for registration, please email the Community Law Clinic . Nights for Nonprofits: Cause Development and Market Awareness , October 16th. An exploration of the considerations that every hopeful nonprofit practitioner should reflect upon prior to incorporation. This class will dive practically and legally into: Defining the nonprofit’s mission; understanding the practitioner’s relationship to the nonprofit; identifying the right clients and geographic reach; and evaluating the nonprofit’s market viability. Location: Wake Forest University, Worrell Professional Center, Rm. 1101. Evening Academy: Navigating the Evolving Employment Relationship , October 23rd. An overview of employment law relevant to growing and established nonprofits. Participants will learn about: The Fair Labor Standards Act; requirements associated with hiring and having employees; and the differences in employment contractual arrangements. Location: HandsOn Northwest North Carolina, 751 W. 4th Street, 3rd floor. ﻿Nights for Nonprofits: Incorporation, October 30th. This session will examine the legal steps required to form a nonprofit corporation under North Carolina law, focusing on the technical aspects of formation and governance, including review of key statutes; the articles of incorporation; and nonprofit bylaws. Location: Wake Forest University, Worrell Professional Center, Rm. 1101. Evening Academy: Protecting Your IP Identity in the World of Nonprofits, November 6th. A practical presentation on the importance of protecting an entity's brand, logo and business processes. Participants will learn about coverage differences among trademarks, copyrights and trade secrets. Participants will also learn about the federal and state trademark process and the level of protection that each provides. Location: HandsOn Northwest North Carolina, 751 W. 4th Street, 3rd floor. Nights for Nonprofits: Tax Exemption and Fundraising, November 13th. An evaluation of the essentials related to raising money to fund the nonprofit’s mission and activities. Topics for this class will include discussing the benefits of tax exemption and the process for obtaining tax exempt status; the role of a fiscal sponsor and its ability to serve as an alternative to tax exemption; and the fundraising requirements for soliciting funds in North Carolina and other states. Location: Wake Forest University, Worrell Professional Center, Rm. 1101. Nonprofits And Voter Engagement – We Can (And Should) Do It! T uesday, October 16th, 2:00 - 3:00pm Many nonprofits shy away from civic engagement and voter mobilization efforts because they are unsure what activities they can participate in as nonpartisan entities. Join Jeremy Coffey of Perlman & Perlman and IS' very own Becca Vucic to review the activities charities can and should be engaging in to promote healthy communities. ﻿33 Principles In 33 Minutes: Guide To Good Governance, Part 3, Tuesday, October 23, 1:00 - 1:30 pm Join Diligent’s Dottie Schindlinger for the third in our series of highly interactive sessions about building and maintaining your board and policies. The NC Center for Nonprofits thanks you for your patience as they have worked out the details to reschedule Power Play: Disruption for Good. Join the HandsOn staff and other nonprofits from across the state on Tuesday and Wednesday, November 27th and 28th at the Sheraton Imperial Hotel and Convention Center. Be sure to check out the revised schedule. If you have previously registered, you are all set and we look forward to seeing you at the conference! If you need to transfer or cancel your registration, please contact the Center. If you have not registered and would like to, please do so online by November 16th. Nominate an Outstanding Middle or High-School Aged Volunteer for a Prudential Spirit of Community Award! These awards, offered in partnership with the Points of Light affiliate network (of which we are a part,) recognizes the "best of the best" students that make a difference through volunteering. Please consider nominating one of your volunteers for this recognition, which includes a monetary award and an all-expense-paid trip to Washington, D.C.! Please visit their website for more information. The nomination deadline is November 6th! Nominate A Young Staff or Volunteer Leader for a 40 Leaders Under 40 Award! ﻿ As a former winner of one of these awards, Amy is a big believer in the boost that it can give to both your organization and the young leader on your team. 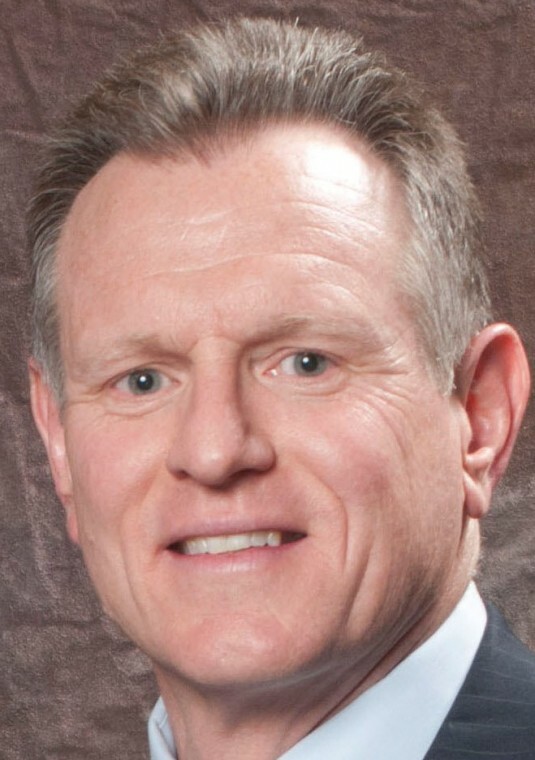 The awards, sponsored by the Triad Business Journal , identify the Triad's up & coming executives, entrepreneurs, nonprofit leaders, sales representatives, teachers, health care professionals, sports icons and others. Nominations are due November 16th! EmcArts, Finance & Operations Coordinator EmcArts seeks a Finance and Operations Coordinator in Winston-Salem who will be responsible for supporting the programs and activities of the organization in all sites, as well as liaising administratively as needed with the Thomas S. Kenan Institute for the Arts at the UNC School of the Arts. They will manage the financial operations of the organization, work with an external agency to reconcile monthly income and expenses, and coordinate the annual external auditing of EmcArts and the preparation of annual accounts. In addition, they will manage all daily office functions and act as an information resource for other staff and external constituents. Review the full job description and apply here. Deadline to apply is Friday, October 12th. No phone calls or inquires, please. Old Salem Museums and Gardens is seeking applications for a Senior Director of Development to serve as the principal development officer and as a member of the executive staff. The ideal candidate will be a highly motivated professional with at least 7 years of successful fundraising experience, who will oversee the donor relations program and manage fundraising initiatives. This position involves supervising the design, implementation and successful execution of comprehensive, strategic fundraising efforts for Old Salem Museums & Gardens. View the full position description and apply online here. W-S/FC, create an action plan to reduce the number of residents affected by poverty in the community, and lead its implementation. View the full job description and submit a cover letter and resume to apply. Big Brothers Big Sisters Services, Inc. is seeking a part-time Program Specialist in Winston-Salem. The position's primary function is to provide match support to ensure child safety, positive impacts for youth, constructive and satisfying relationships between children and volunteers, and a strong sense of affiliation with BBBS on the part of volunteers. This position will include enrolling, matching and providing support to site based program(s) and match caseload. View the full position description and apply by submitting a cover letter and resume. Big Brothers Big Sisters Services, Inc. is seeking a part-time Project Manager-Events. Responsibilities include serving as the events coordinator for Forsyth and Davie counties and the Bowl for Kids' Sake campaign. A major focus for this position is on developing friendships with participants and nurturing relationships for the organization. View full position description and apply by submitting a cover letter and resume. Kaleideum, General Accounting Assistant Kaleideum is seeking a part-time General Accounting Assistant to serve as an integral member of the Finance team and share responsibility for overall departmental goal achievement. This position is primarily responsible for the daily accounts payable receivable processing and works collaboratively with all Museum departments to ensure the accurate and timely processing of transactions. View full job description here and direct all inquiries and a cover letter and resume to Mary Jo Morgan, Director of Finance. Kaleideum, Birthday Party/ Rentals Host Kaleideum is seeking a part-time Birthday/Party Rentals Host to provide operational functions before, during, and after birthday parties and rental events. This position assists with on-site set-up and take down, represents the Museum in a professional manner, and interacts in an engaging and positive manner with event attendees. The successful applicant is a creative, charismatic individual with customer service experience. Interested candidates should view the full position description and complete the online application. A Collaborative Problem-Solving approach will make awards to a limited number of community proposals that bring people together and allow them to self-define and tailor a path for creating positive change. The deadline for proposal summaries for these grants is December 3rd! Please note that submitting a Proposal Summary is the preliminary step in introducing a proposal to ZSR. For more information, visit their website. A Community Progress Fund that seeks to support local communities by making time-limited investments at key moments and is intended to build on existing momentum to help move an issue, idea, or organization forward. The deadline for Letters of Intent is December 3rd! Please note that submitting a Letter of Intent is the preliminary step in introducing a proposal to ZSR. Therefore, it is not necessary to contact a ZSR staff member. More details can be found on their website. A webinar will be held on October 15th from 11:00 a.m. to 1:00 p.m. to further explain their strategies, these grant opportunities, as well as to answer any additional questions. Register Now! New Poverty Data for Forsyth County Released! Our friends at Forsyth Futures let us know about new US Census data that was made available in September, which contains three key findings. The good news? Forsyth County is moving the needle on the poverty rate in the right direction. The bad news? We're still above the low rates seen before the recession, and there is still a significant disparity between whites and people of color, and higher rates of poverty for those under age 35. For more detail on this data, please read their fully updated poverty report. Come Learn More About How Your Nonprofit Can Participate in Christmas for the City! Don't lie--I know you've seen it. The wrapping paper and lighted tree displays in Costco. The Christmas candy slowly replacing the Halloween candy on the shelves. This can only mean one thing: December will be here before we know it! For the past decade, HandsOn has partnered with Love Out Loud to help ensure that nonprofits have meaningful and important ways to connect with our wider community during Christmas for the City , a city-wide Christmas party that attracts approximately 10,000 people each year to the Benton Convention Center. This year's event will be on Thursday, December 20th (the evening before the last full day of public school before the winter break,) and planning is already well underway. Even if your nonprofit has participated in the past, we still want you to come and learn what's new for this year. Options for participation include serving as a conversation host, organizing an interactive experience, or sharing a short informational video. Please reserve your spot below, so we'll have enough chairs for everyone!